If you need commercial HVAC services, including commercial HVAC repairs in Lake Jackson, TX call Switzerland Air. We’ve worked with a variety of businesses to help them repair their existing heating and air conditioning system or install a new one. At Switzerland Air, we realize that your business is your livelihood and that you work hard every day to be successful. Your heating and air conditioning systems are a huge part of that success. If your AC system fails in the middle of summer then your customers, tenants or employees won’t be comfortable. That can be a huge detriment to your business, and something that no business owner needs. That’s why we take such great care with the commercial HVAC services that we offer. 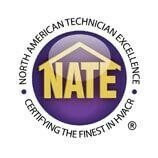 Our technicians are highly experienced and are NATE certified. They have experience installing and repairing all different types and brands of commercial heating and air conditioning systems. Call us today if your business isn’t getting enough heating or cooling and you need commercial HVAC repairs in Lake Jackson, TX, or if you need to have a new system installed. Our professional technicians can help to provide an estimate for service in Lake Jackson, TX and the surrounding area. If you’re in the process of building a new office structure or a new business building, call Switzerland Air for commercial HVAC installation in Lake Jackson, TX. We can help you pick out the right system for your business that matches the need of your building and your budget. Getting the right sized HVAC system is critical to its proper operation. Also, getting your new commercial HVAC system installed by a professional technician is a terrific way to make sure that it works well for as long as possible. Here in Texas, having a good commercial HVAC system is critical to your success. You need to be able to keep your customers, tenants, or employees comfortable no matter what the temperature is outside. If your industrial HVAC system breaks down you need to get it fixed fast. Switzerland Air offers fast and high quality commercial HVAC repairs in Lake Jackson, TX. If you aren’t receiving enough cool air or if your heating system is making a strange noise—you may need commercial HVAC repairs. Call us today to speak with one of our friendly technicians. One of the best ways to potentially avoid costly commercial HVAC repairs in Lake Jackson, TX is to get your system maintained on a regular basis. When you own a business, consistency is key and you want your HVAC system to be able to deliver consistent heating and cooling. Regular maintenance is a fantastic way to make sure that happens. Rooftop package units are one of the most popular commercial HVAC systems available. They allow businesses to save the valuable space inside the building for other things instead of using it for the HVAC system. Switzerland Air provides professional rooftop package unit installation and repair in Lake Jackson, TX for businesses of all types. If you need rooftop package unit repairs in Lake Jackson, TX and installation throughout the Angleton, TX area. Because of all the heat that we get here in Texas, commercial chillers are a popular option for many businesses in Lake Jackson, TX. Chillers provide comfortable cooling for businesses that want consistent and efficient climate control for their tenants, employees or customers. If you’re need chiller repairs in Lake Jackson, TX or chiller installation call the experts at Switzerland Air. For all your commercial HVAC repairs, installation and maintenance in Lake Jackson, TX call the experts at Switzerland Air.